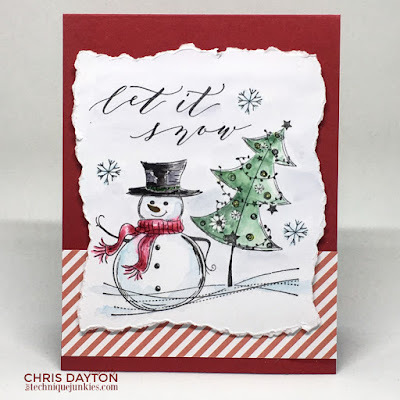 Today I'm over at the Technique Junkies blog sharing this card. Technique Junkies is celebrating the 30 Days of Christmas right now, with 30 days of Christmas and holiday inspiration, and a SALE. All stamps in the Christmas category at Technique Junkies are all 20% off! And... you can use this code to save an additional 10%! Woooo !! This is a great Christmas spirit card !! I love the very design.